I love trying different kinds of teas, especially as the weather cools down. I usually just brew tea with a teabag but have been enjoying these teas from Teasia. They sent me a variety of their k-cups and I have especially been enjoying the jasmine green tea which is always one of my favorites. If I want a cup of decaf tea, I like the rooibos lemongrass tea. These teas brew strongly which is nice if you like a stronger cup of tea. If not, you can always add more water. The roasted oolong is also great. Use code FSNUTRITIONIST for free shipping. **Keep reading for a Teasia giveaway! I love trying different subscription boxes and this one is a little different than what I have tried before. 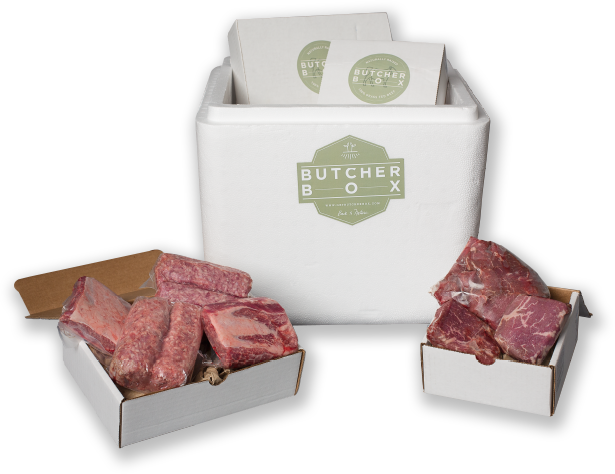 ButcherBox is a monthly subscription box of different kinds of meat. They have grass fed beef, organic chicken and pork. They sell high quality meats that make these quality meats accessible to everyone as it is delivered right to your door. The cost is $129 per month which comes with 7-10 pounds of meat which is enough for at least 20 individual meals. You can get an all beef box, beef/pork, chicken/beef or a mixed box. You can add on extra meat and choose to get it every 1, 2 or 3 months. I was sent a box from ButcherBox to review and was impressed by their high quality meats. I have been enjoying experimenting with the different meats as I typically do not branch out. I made a yummy beef stew which is perfect for the cooler weather. I love trying out the POPSUGAR Must Have Boxes because they are always filled with fashionable and quality items. This past summer, I loved their summer boxes. This fall box has some pretty great items as well! It came with a fancy black hat which I am still trying to decide if I can pull off. It came with a fun manicure kit which is small enough to keep in your purse or to travel with. I have dry hair, especially in the winter and the hair mask that it came with will be very beneficial. I also like the lip lacquer that it comes with in a red shade. It is not too dark but I like it because I like wearing some lip color in the cooler months. Finally, it came with The Gluten Free Bites in dark chocolate coconut which are a fun treat. The giveaway will be for a 36 pack of Teasia teas k-cups to three different winners (either floral, green tea or oolong). I'd really like to try their Black Tea. Thanks. I would love to try the Chamomile Mint tea! I enjoy the minty taste! I would like to try the green tea.